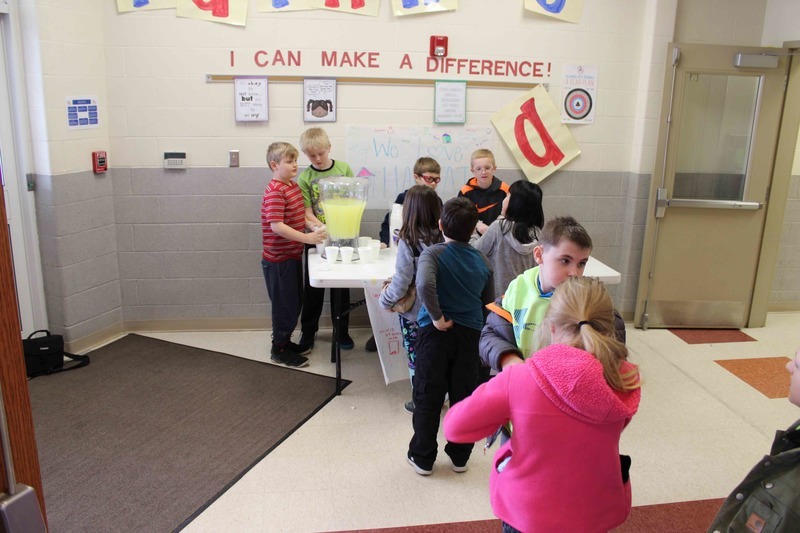 Third grade students in Chelsea Minnich’s homeroom at Parkway Elementary School put actions to their words last week to raise money to help with the housing issue in the City of Alliance. The group decided to raise money for Alliance Area Habitat for Humanity after discussing in class the needs they see in the city of Alliance. Minnich said students brought up the issue of unkempt homes and homelessness they see around them and wanted to do something about it. She and a parent of a student in her class are members of the Habitat for Humanity board, providing a connection to the agency. “We started by discussing community helpers and that transitioned to how we can help the community...one student said housing is an issue so I took that opportunity to tell them about Habitat for Humanity,” she said. She educated students about the organization so that they could inform their friends and family while they raise funds. “I explained that Habitat is a hand up not a hand out. It is helping people to buy a home, not giving them free homes,” she said. Students sold donated cookies and lemonade so that all their profits went to Habitat. They organized the fund raising effort by splitting into teams including a sign team, announcement group, data tracking group and video group. Students set their goal of raising $215 and surpassed it by earning $249.19. During their lunch they each took a day to work the stand, counting money, making change, and serving the drinks and cookies. “I’m so proud of them, this is their idea and it’s great to see how much they care about their city. They put their actions into words,” Minnich said.